Posted on April 1, 2016 by Amanda. Best Ofs- The Best Stuff! 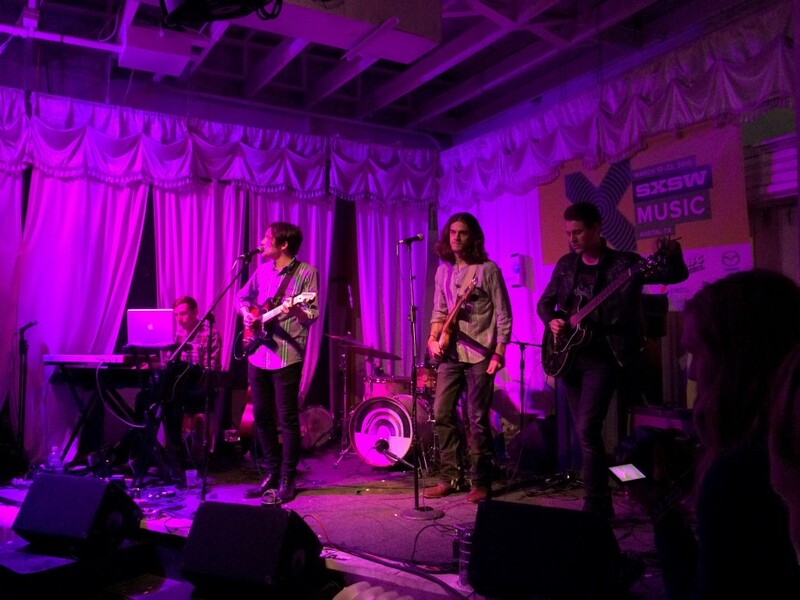 Lukas Graham was the first act we saw at the official start of SXSW on Tuesday at the Spotify House and was far and away the best act we saw that day. With songs that are more like stories about himself and his band mates, Lukas Graham was an absolutely enchanting act. As Kristen said, he created the “Graham Bar” for the rest of SXSW and although everything else we saw was still enjoyable, nothing ever surpassed the “Graham Bar.” We made a point to see him again at the YouTube Music House where the band performed a full 45-minute set, which is basically unheard of at SXSW. We both walked away from that set with our minds sufficiently blown and throughout the rest of the week would just burst out about how amazing the set was from Lukas Graham. Mind. Blown. Sitting in the sanctuary at St. David’s Church late Friday night waiting for the “surprise guest” to appear, I was debating my choice to stick around. I wasn’t sure that anyone could top the stellar evening of singer-songwriters I had experienced and my hotel bed was very enticing. When a woman in white walked out onto the stage, I wasn’t sure who she was, but once she started singing, I knew I made the right decision to stay. Her voice was arresting! As I sank further into my pew, mesmerized by song after beautiful song, I felt transported. A quick google search identified the mystery act as Lapsley, a rising British artist. 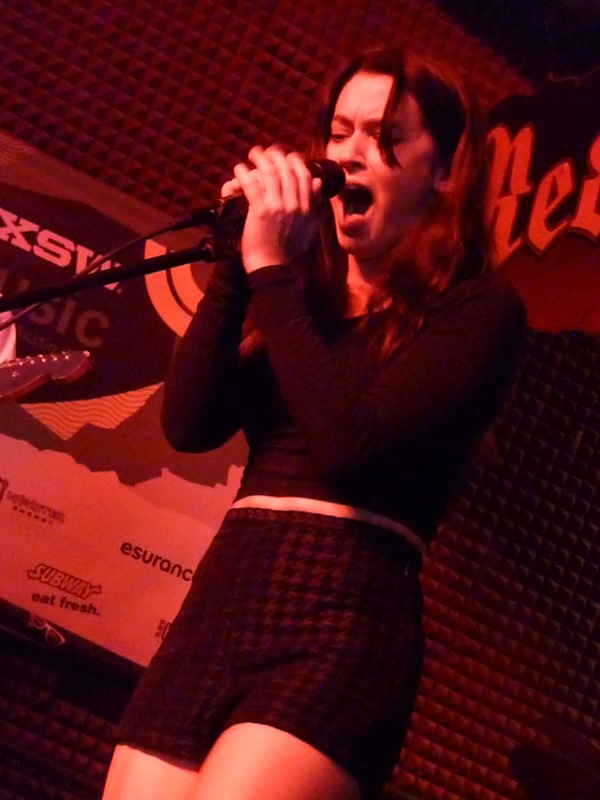 I kicked myself for not including more of her sets on my schedule, but sometimes the best acts are the ones you were never anticipating – absolutely the best surprise of SXSW 2016! Lapsley ‘Falling Short’ from Jake Scott Cinematographer on Vimeo. A party so good, we kept going back! Quantum Collective is one of the few parties with a consistently long line, often running down the steps and stretching around the massive Whole Foods building. The crowd was there for a reason. Good music in a comfortable setting surrounded by high quality food. What more can you ask for? 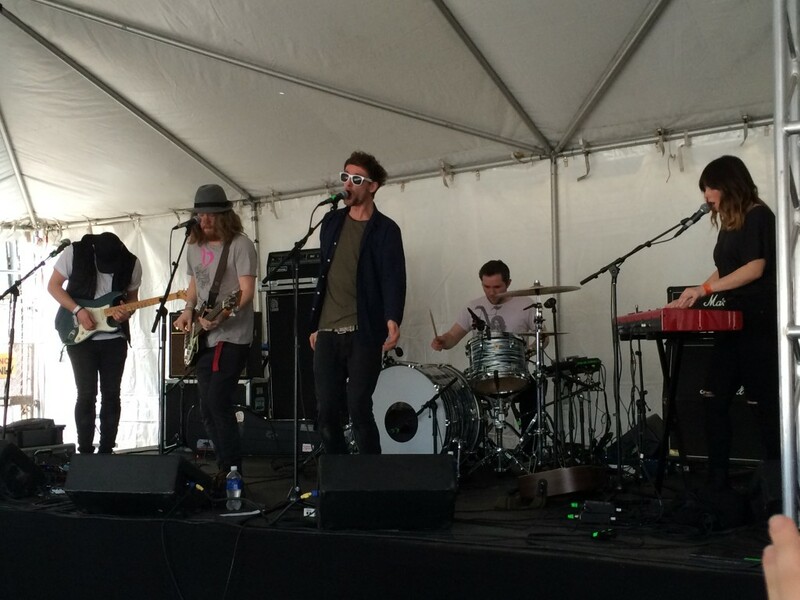 For the music, we were able to see favorites like Green River Ordinance and The Arkells as well as discover new exciting bands The Heirs and Great Caesar. As far as food, we were excited about everything Mama Chia and the all-encompassing Whole Foods salad bar downstairs. If there was one party to get to early and stay all day, this was it! 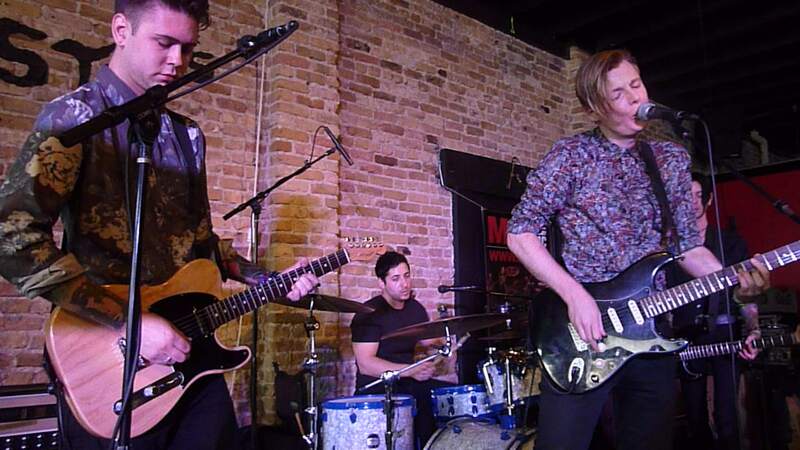 Kristen’s pick: Mainland – When multiple members of a band jump into the audience two songs into a set and starting dancing around, you know it’s going to be a party. Mainland delivered on their promise to get my feet moving. Their set at Shiner’s Saloon was so much fun, I made it a mission to see them again. No band made me raise up my hands in the air with such abandon. 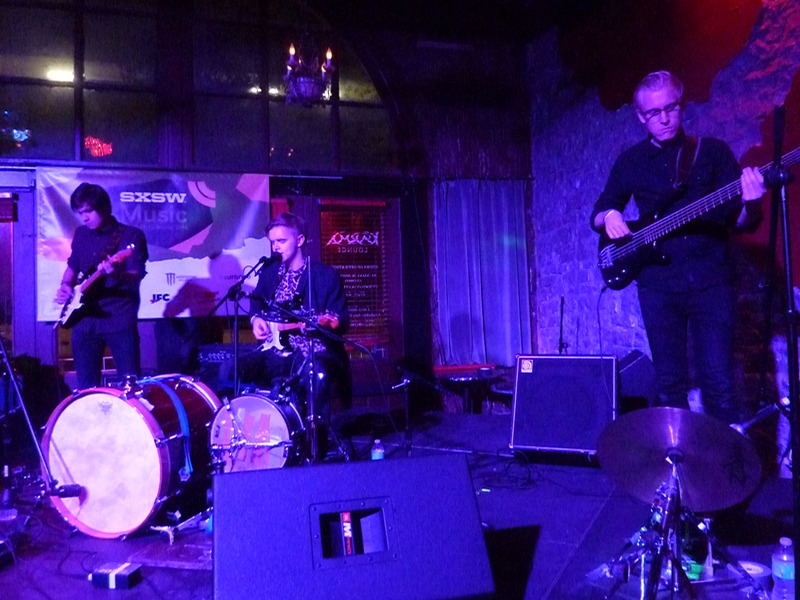 Amanda’s pick: Royal Teeth – In all honesty, Royal Teeth were one of a few bands I already knew about coming into SXSW this year and they were one of my favorites from last year as well. They are always a fun, high-energy dance party and there’s something about them that never fails to make me smile. It’s hard to pick my favorite part of their set at Esther’s Follies, it could be when co-singer Gary Larsen ended up on a large speaker hanging over the crowd with an audience member’s phone or when he ended up in the crowd with a drum during their last song Wild and hit the drum with such force he seemed to propel himself into the air. 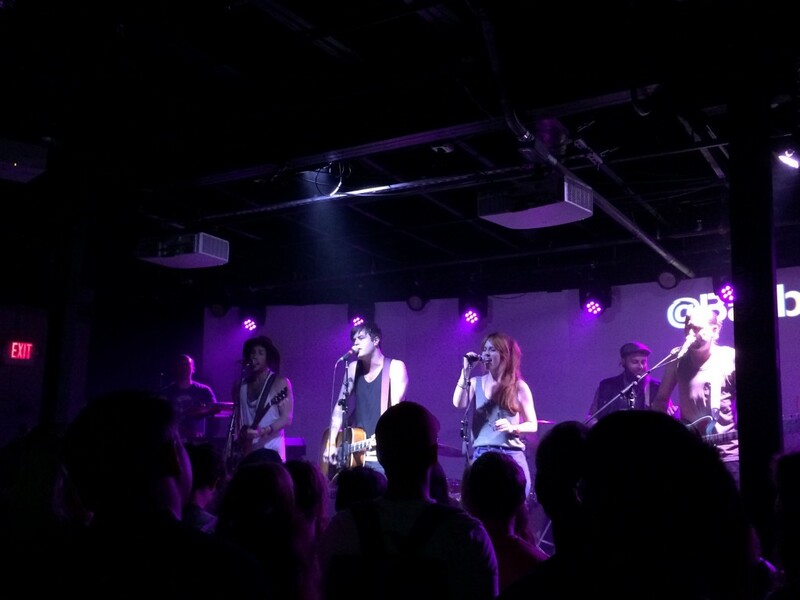 HM: DNCE – One of the best aspects of live music is when a band can really get you moving. When you’ve been walking all day and your feet are sore, it’s even more of a feat. So many bands made us get up and dance, but none created the crazy party vibe quite like DNCE. Kristen’s Pick: McDonald’s Loft – I mean, McDonald’s had an ice cream sundae bar. That is hard to top. Aside from all of the McD’s food (including more healthy options like apple slices and Cuties), the event booked some of our favorite and most anticipated bands like Jared & The Mill, and The Score. Amanda’s Pick: YouTube Music House – This was my favorite place to hang out, eat, and watch bands. During the day there were various juices to sample, six different popcorn flavors to try, free drinks including bottled water, and roving waiters with different things to eat. During the evening it was just the free drinks and roving waiters but it’s really hard to say no to a 5 layer dip with gluten free chips, roasted corn salsa, sweet and tangy meatballs, sliders, and chicken wings. It was the best spot for seeing bands like Banners and Lukas Graham. The best swag for me is always the most utilitarian…and who doesn’t use socks and pillowcases?!? Casper also provided one of the most unique activations of the week, the nap pod! Kristen’s HM: Cell phone card holder from Capital One – my favorite piece of swag last year was back in an upgraded version this year (they added some sort of stand/clip to the back) Capital One may be my favorite bank simply because of how streamlined my life has become by using this card holder. Ha! 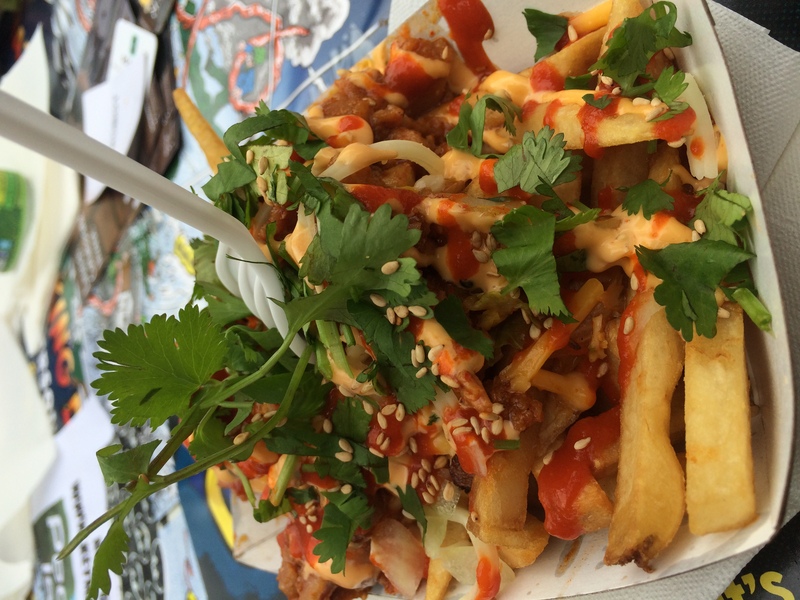 Amanda’s HM: Safe Catch Tuna– There was a section in the convention this year about food at SXSW and I was directed to the Safe Catch Tuna booth by a friend with food allergies worse than mine. We got to sample the tuna which is lowest in mercury and comes packed in it’s own fish oil so it’s automatically moister (is that a word?) out of the gate than any other brand. A tweet or post tagging Safe Catch would get you a free can of tuna. 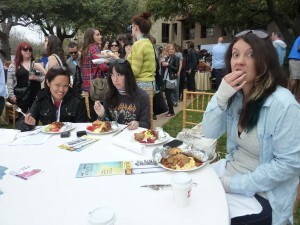 Who doesn’t need free food at SXSW and something that is healthy to boot! It was only Tuesday and I was already overwhelmed with the idea of so much music that was out there for me to see that week and everything I had already been through that day. I was walking down the street when I say a flyer that had my favorite comedian’s name on it, Iliza Shlesinger. I had heard there was a fair amount of comedy at SXSW this year and I had even seen Chris Hardwick’s name on some flyers as well. I made it a point to skip music and see Iliza that night and I have zero regrets about it. There was no other name on the bill I recognized but it really didn’t matter because SXSW is all about discovery, right? I’m happy to report that there were several other comics in the lineup who I really enjoyed including Baron Vaughn, Owen Benjamin, and Alonzo Bodden. The host, Chris Cubas, was really enjoyable as well and I actually saw him around SXSW a fair amount working as a door guy at one of the venues on Rainey St. The whole event was super fun, it was an awesome way to be introduced to new comics that were really enjoyable, and it was great to see Iliza pull out some new material and change up some material from Kaaboo. She’s kind of the best. HM: The People The Poet – It was all in the delivery with The People The Poet singer, Leon Stanford. Every time you hear Leon talking about wearing sunscreen so they don’t turn into lobsters, it’s hard not to chuckle. The People The Poet were the last band we saw on Sunday (the day after it all ended) and we were all a bit done. It’s not clear if Leon’s stories about having a belly full of brisket would have been as amusing if we weren’t slightly delirious, but the laughter is just as memorable as the music. Not all of us can eat whatever free food is given to us at SXSW and sadly, I’m one of those people. Taseful is an app that I discovered in the convention center right next to the Safe Catch Tuna booth. What makes Tasteful unique is that you can program the app to show you places to eat that fit your dietary needs/preferences. That means, if you’re gluten-free, paleo, vegetarian, vegan, low carb, or don’t care it will show you places to eat nearby with possible menu items that fit your needs. It also ranks the places by the how good they are for each dietary concern which means how much food is cooked fresh right there, how much cross contamination there might be, and so on. I didn’t get to try that many options presented to me by the app, although one of the restaurants brought food to a party I was at so I got to sample, but it’s nice to know the options are there if I need them. Other Notables: Things We Can’t Leave Out! 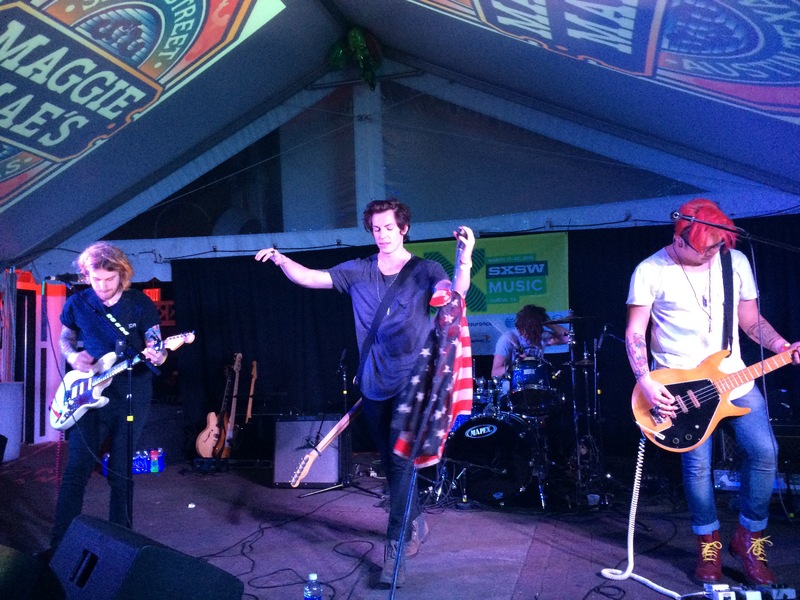 The Virginmarys were one of our favorites from SXSW 2013 and were a must see as soon as they announced they were returning this year. Unfortunately, they only had two shows announced and both provided some issues. One conflicted with Kristen’s #1 can’t miss set of the week (see below) and the other was a bit of a walk. 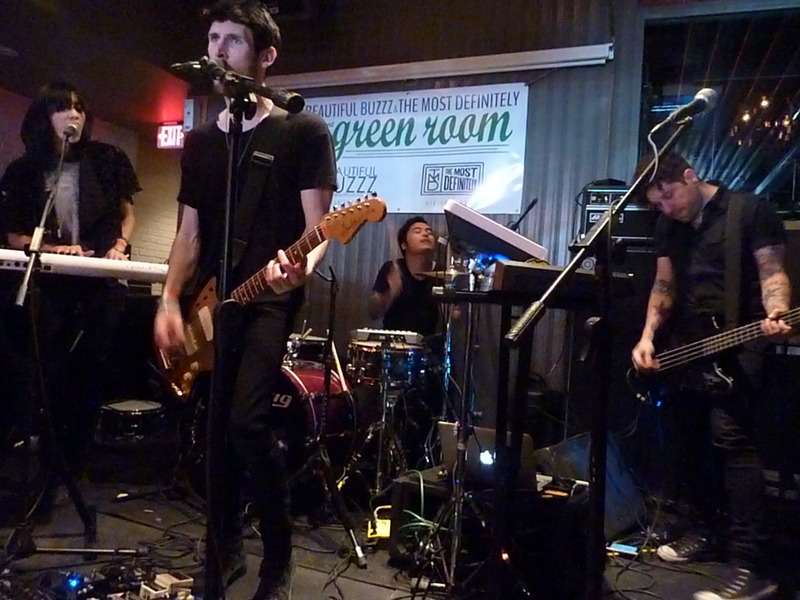 Well, sore feet be damned, we were determined to see this band so we make the trek across new portions of Austin to the burger joint, Shady Grove, where the band was playing a set in small stage in the corner of the outdoor dining area. As soon as they started to play, it was clear that the walk was worth it. The Virginmarys are one of the most dynamic and enjoyable live acts and their new songs absolutely must be experienced in their live form. We had to wait for this band not once, but twice. Technical issues seemed particularly plaguing at their Revolt daytime show, but the band took it in stride and did the best they could with limited time and workable instruments. 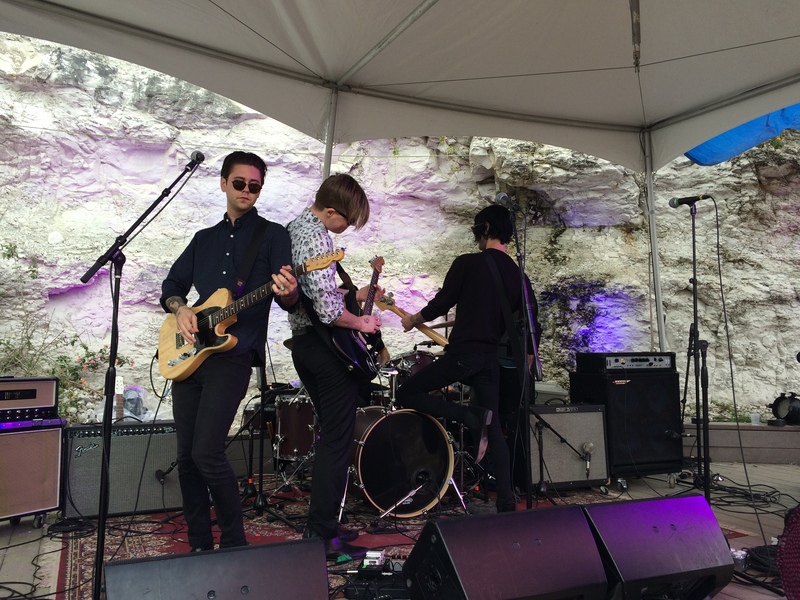 Despite the early struggles, we were able to catch the band again later in the week and their catchy songs and energetic performance made them shoot up to the top of list of fave bands of SXSW 2016. Must see again! This was my #1 must see act of the week and I was not left disappointed. Every time I hear Judy Collins sing, I am transported to my youth (she was my father’s favorite artist). Her new collaboration with Ari Hest takes the iconic voice in a new direction which I absolutely loved. The set was mostly comprised of newer songs, but they stuck in a few classics and I just closed my eyes and became ten years old again. 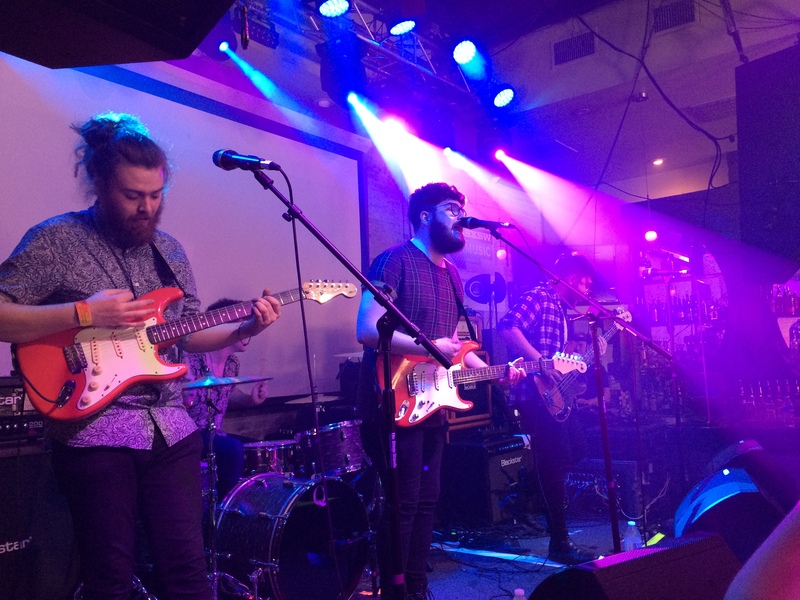 HM: Rooney – Another blast from my somewhat more recent past was when California rockers Rooney, took to the stage and played many hits from their debut album. Robert Schwartzman has not changed one bit an even the band’s new songs still harken back to the glory days of those early college years. You know you like a band when seeing them becomes somewhat of a compulsion. Even if I was only able to catch a song or two, I felt drawn to whatever venue Dreamers happened to be playing. I’m pretty sure I can now sing along to all of their songs. Honestly, their EP just does not satisfy the craving. 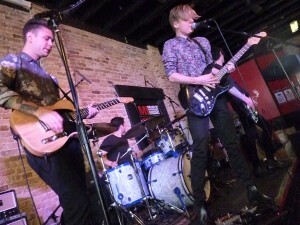 They are one to experience live and I did at SXSW, more than any other band. 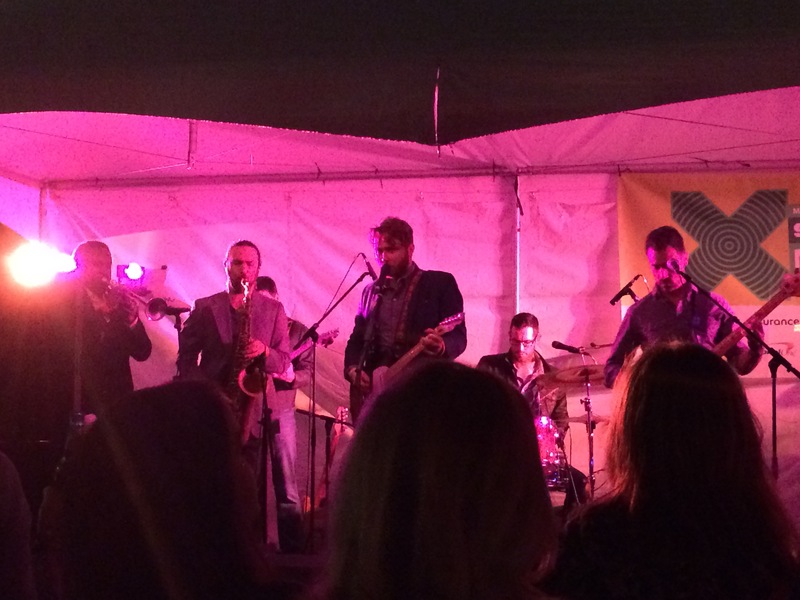 SXSW is filled with difficult choices, but the hardest for me to make was Saturday night. 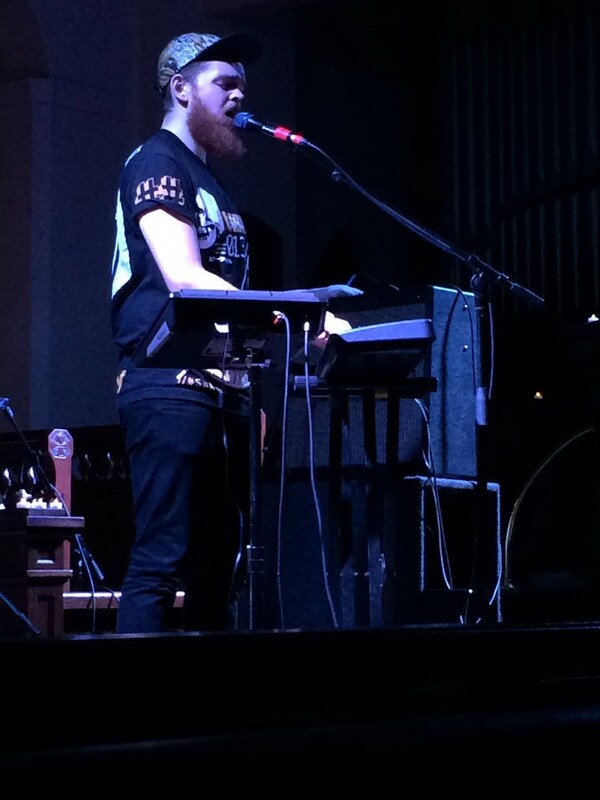 We had to choose between walking a bit further away to see Judah & The Lion or sticking closer to the action and packing in more bands and ended up choosing the later. 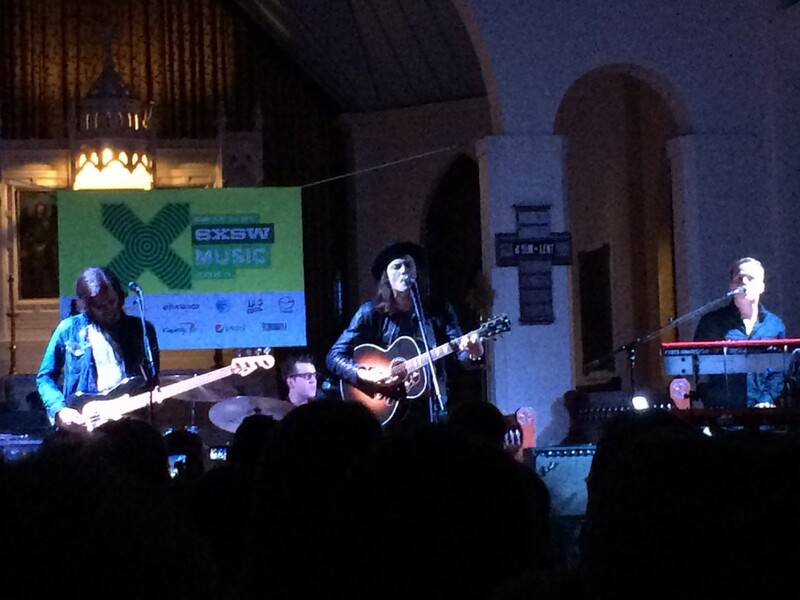 It’s hard to regret the choice (there is no room for regret at SXSW), but that does make Judah & The Lion our number one band we failed to see this year, especially so after we got reports of how absolutely amazing their live set was. Next time! 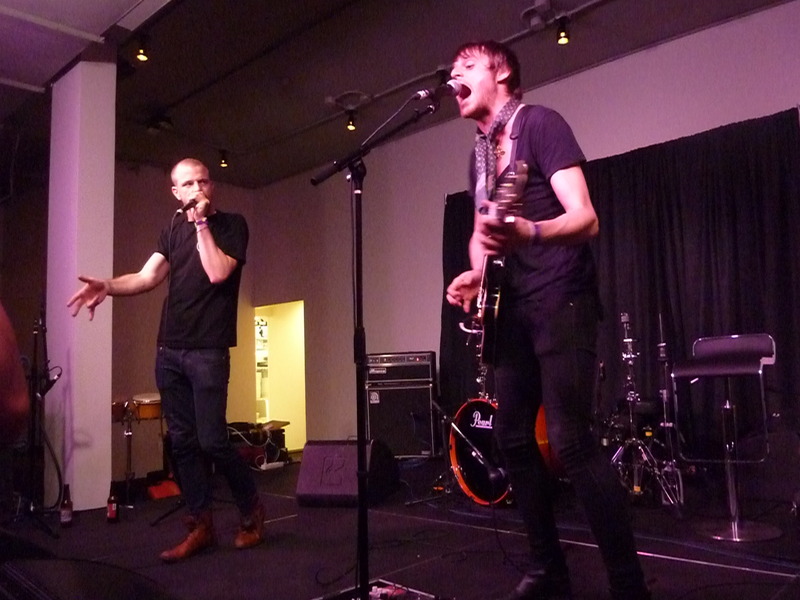 The free and open to the public Waterloo Records party is always a bit of a crazy one. However, the prospect of seeing Kaleo again propelled us to venture over to the packed parking lot and make our way closer and closer to the stage as opportunity presented itself. Kaleo is one of those bands that you’re not quite sure what you’re getting yourself into going in, but after experiencing their life show, you are hooked for life. I recall a particular moment, half way through the sea of people when the somewhat inebriated guy next to me said something like “that guy has a pretty lady voice, but then he sings in his man voice and it really rock.” I just smiled, nodded my head, and continued to push forward through the crowd. Posted on March 21, 2015 by Amanda. Although Kristen is still running full steam ahead (however exhausted she might be) I’m beginning to tap out mentally and physically in a way that is not very enjoyable for me. That being said, today was another wonderful day of music even though there were some slight detours and changes along the way. My day started a little later than I would have liked because I was up until 5 am doing a write up for High Volatage and getting up before 10am was not in the cards for me. After I finally got myself moving, I went on a quest for some breakfast but apparently a girl can’t find any breakfast at 12:30 in the afternoon. I wandered aimlessly around and down 6th St looking for something to occupy myself while I waited to meet up at 1pm for a thing. I heard this wonderful sound but could never figure out where it came from and who was playing. Not to be deterred, I did stop for a minute to listen to a band called The Miseries, according to the signage out front of the venue. I thought I would stop for a carnitas bowl at the Wahoo’s stand which I have visited twice already. it’s been a handy thing to have but for some reason, they were not set up despite it being lunch time and the line for Chi’lantro was 10 people deep. No way was I going to make the meet up time with that happening. I blamed it on the impending rain. I decided to hang at the meeting spot and grab a caffeine fix while I waited to meet up with everyone. There was a coffee shop inside the Hilton that served Starbucks coffee. I ordered a black tea lemonade and after realizing they also had almond milk (yay!) I ordered a chai latte. However, the cashier forgot to ring up my lemonade tea and ended up giving me a pass so score for a free drink and serving almond milk! We went to our event but sadly did not make it back in time to catch the very last set from one of my new loves, Walking On Cars or older favorite Dear Boy. Things were not looking good as it was already past 2pm and I had not managed to see a single band yet. It’s also worth noting that at this point, there is a really steady drizzle coming down and I have no form of rain protection on me. This is where the theme of persevering kicks in. Hang with me here. Kristen and I decide to head to the Palm Door to catch something interesting on our list and even though the venue was running late, we got to sit down and access the situation and devise a new plan of attack. The rain was a game changer in the sense that there would be no long walks and we would be hanging around 6th or at least finding a venue we could hole up in for awhile. Charlotte OC took the stage at Palm Door and completely blew me away with her vocal prowess. 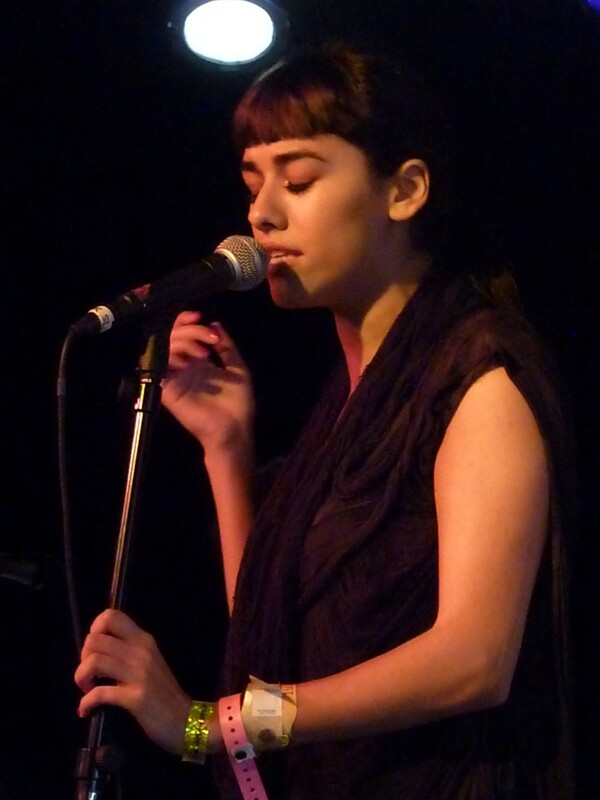 Such an emotive voice with an obvious passion for her music made her a joy to watch. I hope to catch her again this week if I can! After Charlotte, I decided to head to the Empire Garage for the Baeble Day Party to check out Night Terrors of 1927. The rain had picked up by then and despite having an umbrella, I was fairly wet and unamused. After catching a few songs, I had to run back to the hotel to change into something dry and bring out the reinforcements in the form of a poncho, rain boots, and a pleather jacket and hoodie. After having changed into something dry, it was time to set out again for more music. The show at Empire had a few more acts I wanted to catch so I walked back that way but not before stopping along the way to listen to Lenka who was playing at the Aussie BBQ. It was hard to not walk in but with the rain coming down and the pull of other artists, I had to more on. I made it back to Empire for the tail end of The Mowgli’s set and I caught a song of Cody Simpson’s before deciding to head over to Swan Dive for a few artists there. I got in during the tail end of the Royal Teeth’s set (it also took some maneuvering to get my ID out of my bag which was under my poncho) but I got in just in time to finish up the dance party. I really enjoyed seeing them play and thankfully they did because their show was originally out on the patio but they moved it inside due to the weather. I’m just glad they didn’t cancel. See? Persevere! 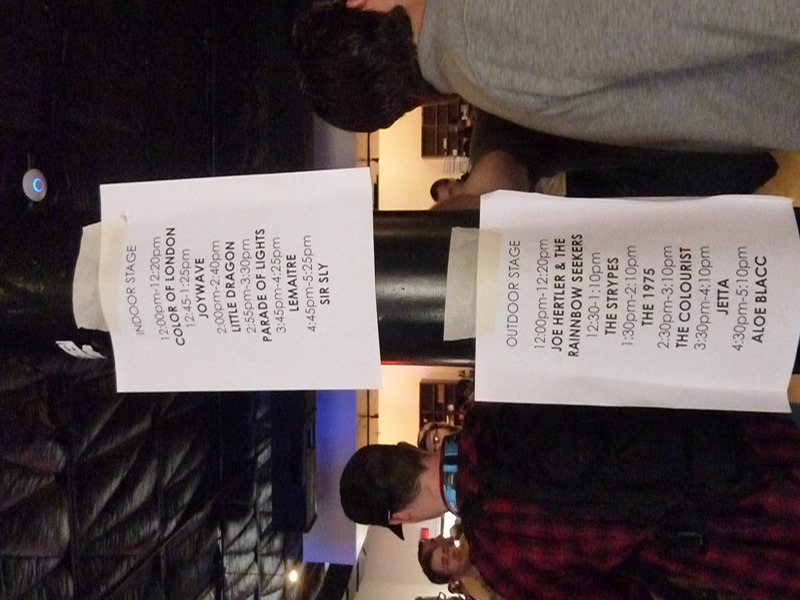 That being said, there was a rather large lull between 6pm and 8pm in terms of music. A lot of the options were a good long walk away and that just wasn’t happening so I took the defeat and stopped for dinner and some power up time in the hotel. After the much needed chill time (thanks weather), it was time to head back out. Kristen came with me back to the Swan Dive and we watched a very entertaining guy by the name of Zeke Duhon. Not only did I love his voice, he did a really great mashup of Shake It Off and Can’t Tell Me Nothing by Taylor Swift and Kayne West, respectively. 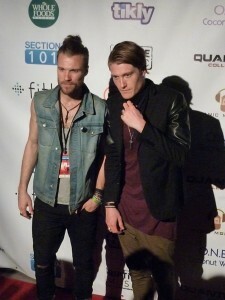 On top of that, we got a recommendation from a friend at the show that we should check out the guy out back, Luke Wade. He was another exciting find! 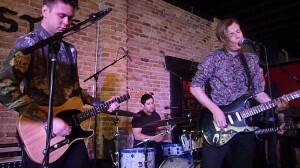 However, they were late to get started and we had other plans in the form of an evening at church with Jay Nash and Josh Day- We Are The Contenders, James Bay, and Jack Garrat. It was a short walk with no rain so score for us! The evening was not without it’s issues for me though. After a lovely set from The Contenders (+1 Amanda) my attempts to get in to the big hall to wait it out for James Bay were thwarted by the venue changing to “badges only” (after Kristen got in) because they were so far over capacity that no wristband was going to get in and some badges wouldn’t make it in either. It was a tough blow (+1 SXSW) but I decided to head back to the smaller room and hang with Chelsea, just in case some miracle happened. 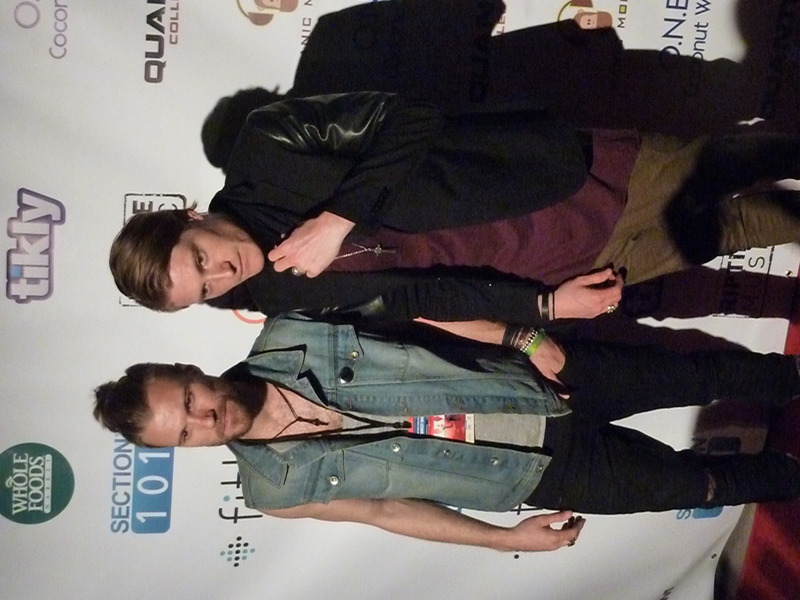 I walked in during the last bit of The Bros. Landreth who would harmonize like no other. I wish I had decided to come back earlier to catch more of their set but that’s the way things happen. Next was Hamish Anderson who had a very different feel from the first time I saw him. 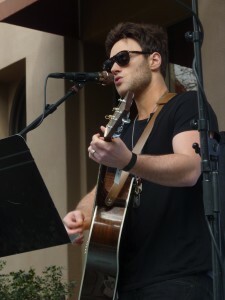 He played some amazing tunes, great covers, and had some guitar solos that were beautiful on the ears. The feeling in the room was electric and palpable. There’s something about being in a church and seeing artists play. It was amazing. I wish I had better words to describe it but it was just an experience. After a set that was much too short, it was time to see what this Jack Garrat guy was all about. He was an interesting juxtaposition at the start because here’s a guy that looks hip hop but when he opened his mouth, it was like the voice of an angel came out. He was such an interesting mix of vocal prowess, sick beats, and obvious musical chops. I’m sad that this was the only time I got to see him play, but he’s someone I will be keeping an eye out for. All in all, despite the rain and a few setbacks, the day was a win. As illustrated by the scores below. Posted on March 19, 2015 by Amanda. 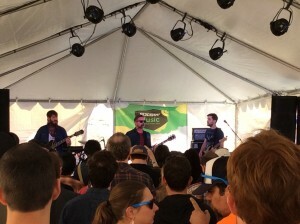 In true SXSW fashion, Wednesday was chock full of maddening conflicts and as usual, everything magically worked out in the best way possible for a wonderful day. Consequently, today is also Kristen’s birthday (Happy Birthday!) which is why I’m bringing this post to you. It was full of LMN favorites as well as some new discoveries. The day started at Holy Mountain with Walking on Cars and I immediately fell in love. No joke. They were my favorite band of the day and I’m really looking forward to seeing them play again. After that lovely set, we caught a little bit of Until the Ribbon Brakes before jetting over to catch Dear Boy’s set at 96 Rainey as part of the Buzzbands Showcase. We stayed for the full Dear Boy set, which was very enjoyable. After making some new friends there, we had a lovely time catching up with Ben Grey, finding out the best place for BBQ and acquiring hugs before stopping down the road to catch some Hamish Anderson at Clive Bar. 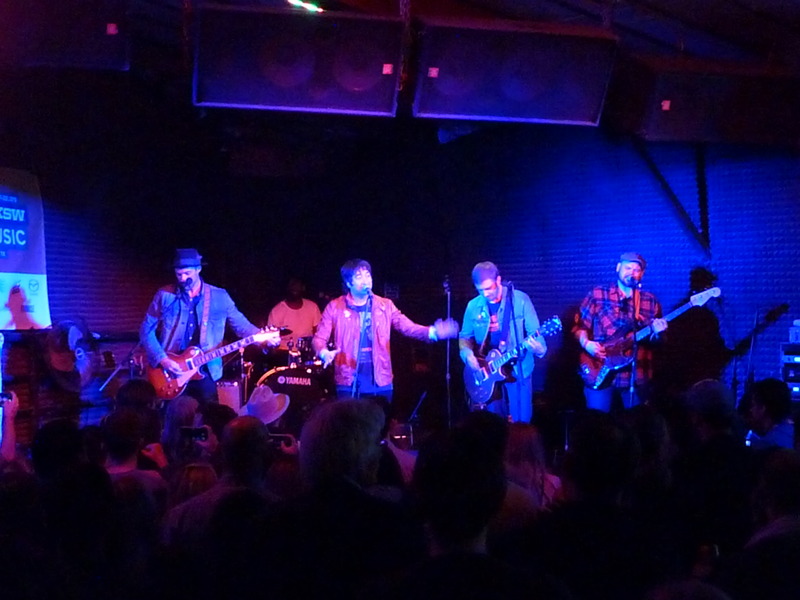 That beautiful bluesy guitar was hard to walk away from but the pull of the impending Fatherson show at Latitude 30 was just too strong to ignore. A small bonus for the day was the free food inside! Mac and cheese and salad for all! Score, right? 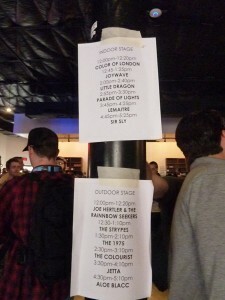 Actually, the score was getting to see Fatherson after missing their set yesterday. 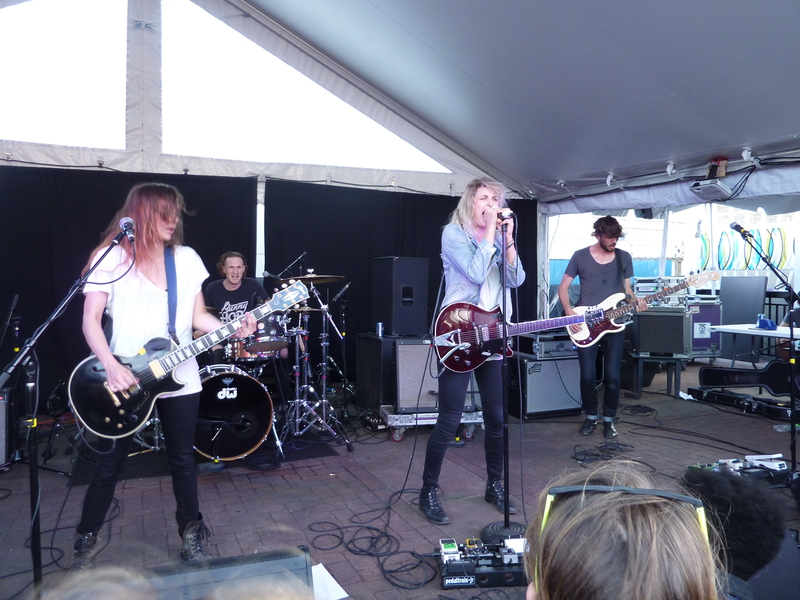 They had such a strong and killer live energy which made them a really enjoyable band to watch. Also, a band with a smiley drummer. What’s not to love? Next there was some bouncing around which included checking out The Black and The White at Buffalo Billiards, Matthew Mayfield at Chuggin Monkey, and Marlon Roudette back at Maggie Mae’s At this point in time, my feet are not at all happy with me so I made Maggie Mae’s my hangout spot for a few acts like Young Rising Sons and a song or three of Halsey. Feet somewhat rested, I wandered over across the way to catch a few songs of The Highly Suspect before making my way up to the church in the hopes of getting into the Brandi Carlile show at the church. This is when the magic happens… Things aren’t looking good for you in terms of getting in but you decide to stick it out, just in case and just like magic, you are whisked into the venue with a few other hopefuls behind you. I only stayed for a few songs of what can only be described as a magical set but I’m so very glad I went. 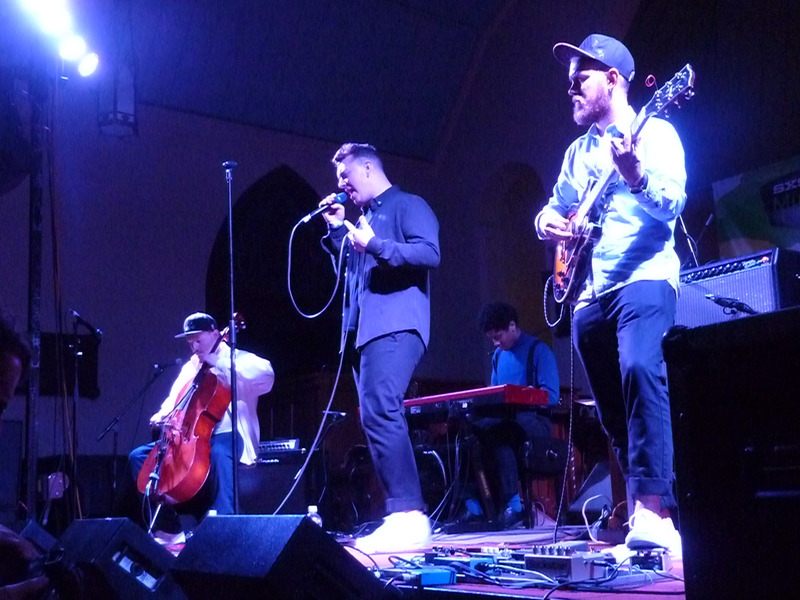 Everything was completely stripped down and acoustic, which combined with the acoustics of a church makes for a very memorable and moving performance. I only stayed for a few songs even though I wish I could have stayed longer because I was really looking forward to Jared & The Mill at Esther’s Follies. I’m so glad I went! The venue was great because there was tons of elevated seating all over as well as a pit area for people to dance in. Taking another load off my feet, because you need to take advantage of that opportunity when you can, I settled in for a wonderful set. Unfortunately, I had some rather chatty neighbors that joined me part way though the set and thought it was a good idea to interrupt and chat with the girl who was seriously enjoying the music. 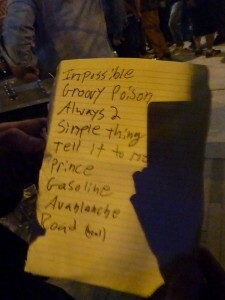 Guess that means, I’ll have to see them again for an uninterrupted set. Oh darn. Not really. The night finished off with a double whammy in the form of Plain White T’s and Irontom at Red Eyed Fly. 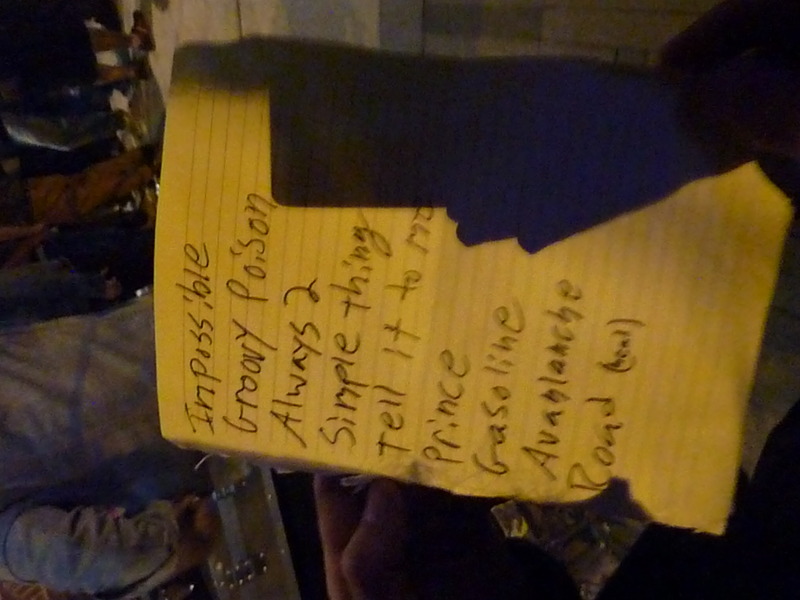 Plain White T’s were playing outside before the Irontom set, so I caught a few songs including some old goodies (pre- “Hey Delilah”) as well as some new tunes from an upcoming record. I bounced back inside to catch some Irontom and just because I could, went back outside to catch some more Plain White T’s because I haven’t seen them in at least 5 years. Probably way more. There was some more Irontom dancing to send me on my way. All in all, a great night and the craziness is only just beginning…. Posted on March 18, 2015 by Amanda. Today being the official start of music means we would normally spend our day picking up wristbands and credentials and then sampling some bands later in the day. That did not hold true for SXSW this year as today was Convergence Day, a brand thing here where people from film, interactive, and music get to co-mingle, talk, and share ideas. The day started at a podcast mixer full of the best kinds of nerds. We met someone who works for a company with a watch-like device where it records audio on a continual one minute loop and if you tap it, it will save the audio. I guess for parents who want to save precious moments it’s a cool thing but I can only imagine people saving some of the dumb things that come out of my mouth. That’s what Twitter is for, right? Anyway, after chatting with some interesting people at the mixer, we wandered over to pick up our Hype Hotel wristbands and the sky decided that it was going to not really rain or mist but it was going to just spit on us. Interesting. After picking up the wristband, we wandered over to Spotify House and picked up some snacks while we waited for the first act, Vérité, to start playing. 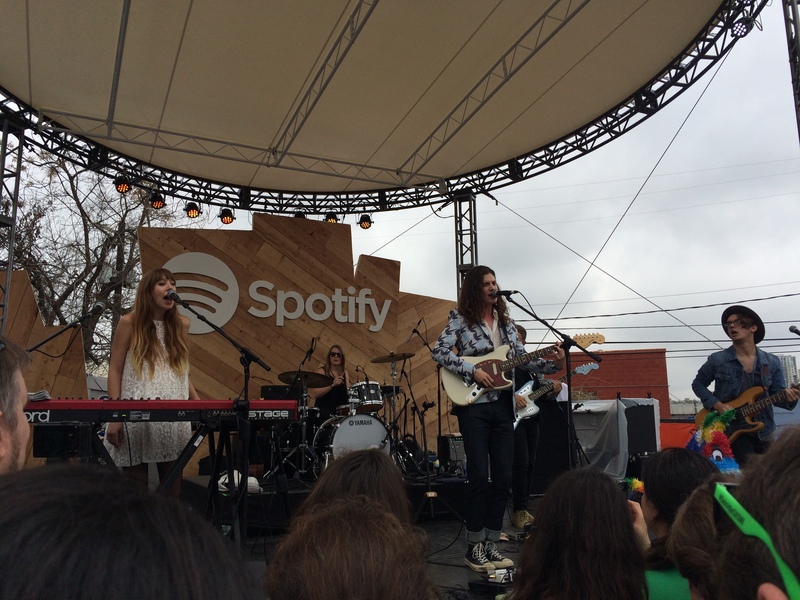 Next up, we had BØRNS rocking the stage. After catching a few songs from BØRNS, we ambled over to Cheer Up Charlies to catch a few songs of LMN favorite Dear Boy at their first set of SXSW. 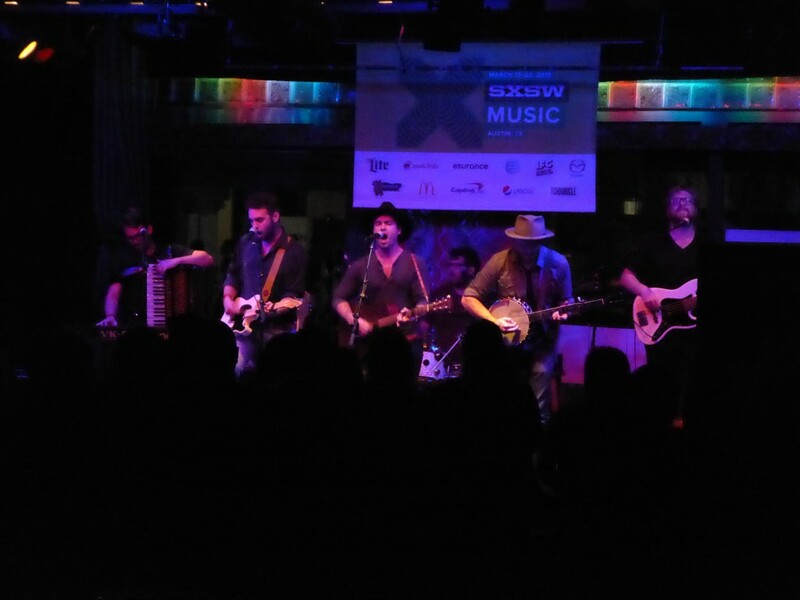 Despite having just arrived in Austin, they played an awesome set. Although we didn’t stay for the entirety of it, some dancing happened. And it was good. From Cheer Up Charlies, it’s was a mad dash down to the Rainey Street area to the StubHub/Culture Collide event at Clive Bar. 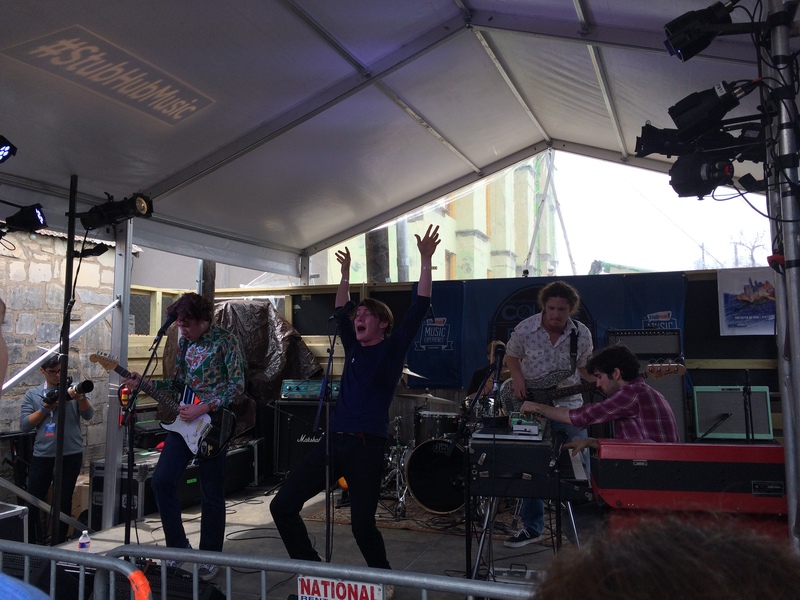 We made it inside 3 songs in to the Irontom set and danced the rest of the set away. We even got to hear a new song from them called, “My Body.” Pretty rad. Hellos, hugs, and love ensued followed by schedule chats, events to see and the like. After that, it was time to check out a panel on music and the brain, “Music As Personalized Medicine.” It was a very intriguing discussion of how music is medicine for each of us in a unique and individual way and the steps being taken to study just how that works in the brain. Something that I personally loved that was said during the panel was that music can cross bridges and do different things for different people. So true. 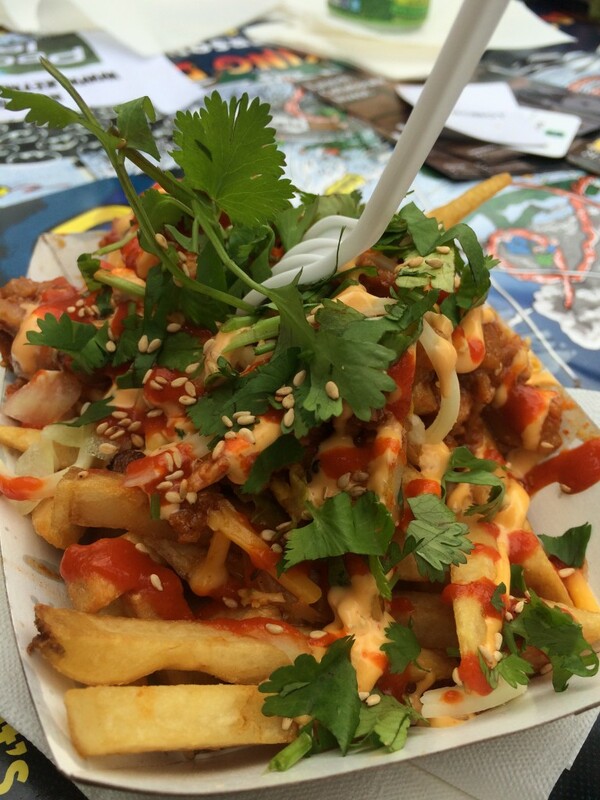 Pre-dinner was grabbed from my personal favorite food truck, Chi’lantro, which consisted of pork bulgogi kimchi fries. Best. Thing. Ever. It was just as amazing and I remembered it. And yes, I had to share a photo of it. Next up was Red Eyed Fly for a taste of Holy Esque before jumping down to Yahoo’s Brazos Hall for James Hersey. That was by far the best venue of the day. Large space, power outlets for charging, free ice cold canned water (weird, right?! ), and ample space to sit on the floor. We also really enjoyed the set from Buffalo Sunn there as well. Can’t wait to catch another set from them this week! The evening was rounded out with Catfish and The Bottlemen at Latitude 30 for an all around stellar day. Posted on April 24, 2014 by Amanda. We were gifted with a pair of tickets to give away to the Above Seclusion show with IM5 this Sunday at Epicentre. There are a few ways to qualify; retweet us on Twitter, like us on Facebook, or leave us a comment here! In case you’e unfamiliar with the band, here are all the important bits to get to know them. Posted on March 15, 2014 by Amanda. If I’m being completely honest, I thought this post would be coming to you a lot earlier in the evening than it is right now. However, as things tend to go with SXSW, plans change. Today was much more relaxed than yesterday with fewer long treks and more bopping around the same few blocks or just hanging at a venue. My feet were pretty happy with that idea as was my body as the wear of SXSW begins to settle in. 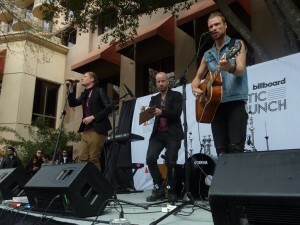 The morning started off at the BMI + Billboard Brunch at the Four Seasons. It was a wonderful chance to eat and sample some artists. 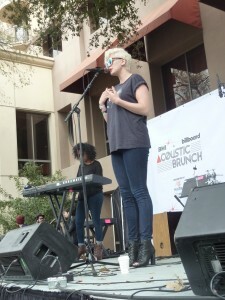 Particular favs were Phox, Betty Who, American Authors, Jamie Scott and The Kin. From there it was a leisurely stroll up the street to where all the main action was. I wanted to get in to see The 1975 but it was “at capacity” and I decided to wander off and regroup myself. 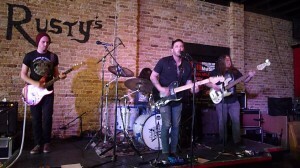 I ended up at Rusty’s to catch a longer set of Wild Party. 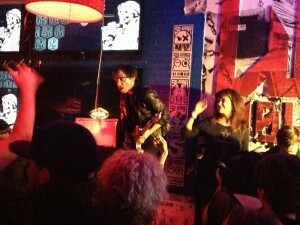 I went down the block after they played to catch Rocketboys, who were very fun. I drifted back over to Rusty’s to see The Heavy Heavy Hearts before going down the street to Palm Door for an encore of Parade of Lights. Sadly, the venue was running behind so we had to cut out a little early so we could get back up to Rusty’s to catch Dear Boy’s last SXSW show. 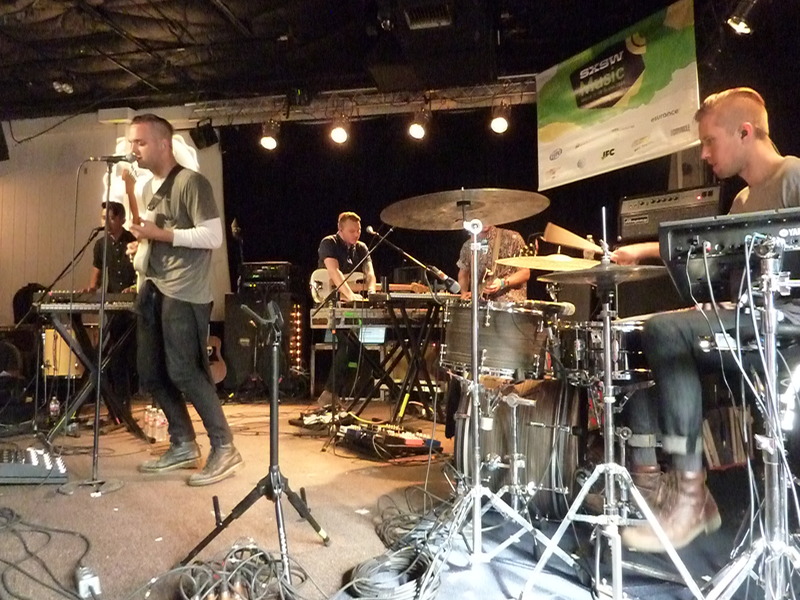 From Dear Boy it was back down to Palm Door to see Sir Sly. I told you we just bopped around locally. After Sir Sly was a bit of a break and I wandered into Latitude 30 to catch a bit of Prides before getting overwhelmed by the crowd. I bailed and wandered a bit before I went back to Rusty’s to hang out and chill for a bit until Queen Caveat took the stage. Truth be told, it’s been awhile since I’ve seen those folks and they only gotten better. 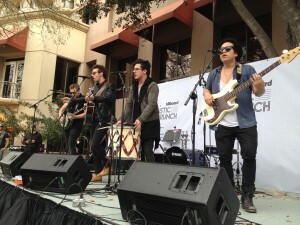 Kristen and I managed to hitch a ride with them over to their show at Whole Foods. The Kin were one of the special guests for the show so Kristen and I both got double the fun with Queen Caveat and The Kin today. I was pretty intent on being done with my day after that. Kristen and I would part ways, should would get out and I would go back to the room, eat my salad, and take a hot shower. Well, as luck would have it, I hopped on Instagram and saw that Beware of Darkness were having their final show at Wahoo’s tonight and it was in 30 minutes. I felt a second wind come on as I knew there would be familiar faces at that show. 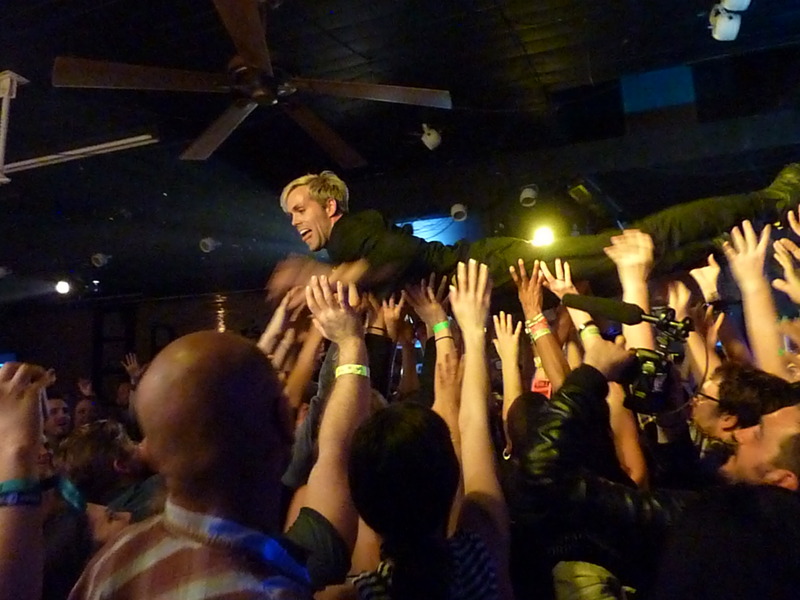 It was a crazy show full of climbing on things and playing in the crowd. Definitely a high note to end my night on. 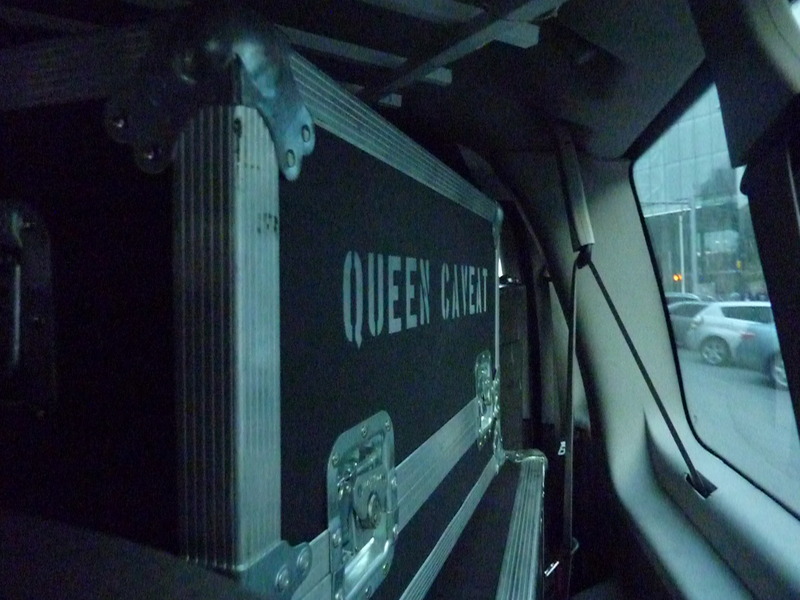 Since Kristen went on her own adventures, here is a taste of what she did today…. I just wanted to give a shout out to all the amazing bands I saw after Amanda and I parted ways. I headed to Church, St. David’s to be precise. I really wanted to see Hozier, but not only was I a bit too late, but there was a line so long I couldn’t see the end of it (a sign that perhaps I should move on). I couldn’t bring myself to move too far, so I went to the smaller chapel where I was impressed by some classical piano performed by a man who was later described to me as “a j-pop deity.” Yoshiki wrote a song on the spot using the prayers in the room. I didn’t really feel like moving (and I discovered the church had free wi-fi) so I stayed and saw the next act, which turned out to be a band on my “to check out list” called Gungor. Gungor’s energy was infectious and gave me my second (or maybe third or fourth) wind. I was also super impressed by how the band changed up their act to suit the setting. 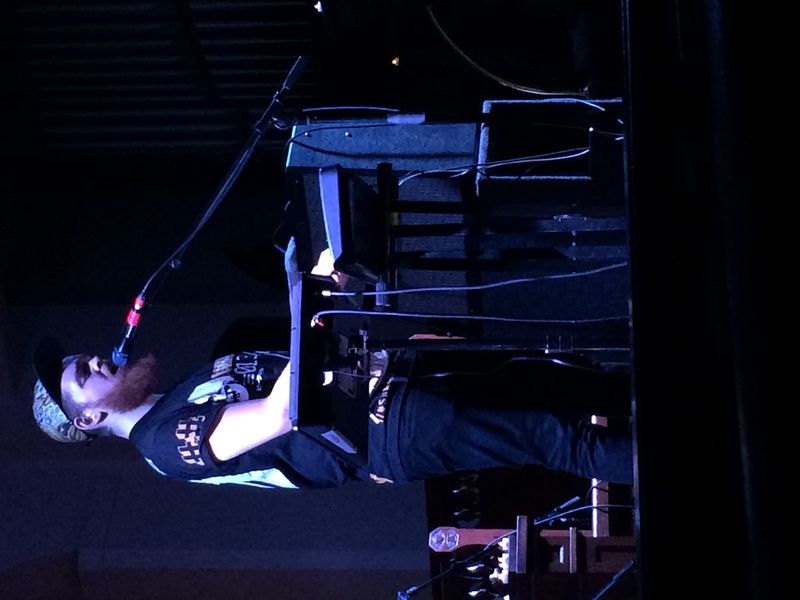 I was inspired to hit the streets and roam for music, but as I passed the main church hall, I noticed the line was significantly decreased so I was able to get in to catch the end of Sam Smith’s set. This was perhaps the best decision I made all week. Sam’s vocals were mesmerizing. I fell in love. LOVE. After that set, I was so melted to the floor that there really was no other option than to stay in my pew for the final act. Not that I would have moved anyway as the final act was another must-see, Vance Joy. It was a beautiful evening.